We know at first this can be a bit confusing, so we created this guide to clarify some basics about dab rigs and bongs. We then also provide you with our best bong and best dab rig recommendations for your next purchase. First we cover bongs and then we go over dab rigs. A bong is a device used to smoke tobacco or most commonly marijuana. All bongs are filled with water which cools and filters the smoke as it passes through the bong. The bong was originally created thousands of years ago in the middle east for smoking tobacco. It has since become one of the most popular methods for smoking flowers because a bong delivers a strong and intense feeling. The smoke is inhaled much faster and flows deep into the user’s lungs allowing for a more intense euphoria. Bong’s can be more effective than traditional smoking methods because you need so little of your product. What are bongs made of? Usually a bong is made from any material that can hold water and create a tight air flow. The most popular material bongs are made of is glass. Glass bongs are often considered the best material for bongs because it is very easy to clean, it is durable, and the glass can be hand molded to create air and watertight architecture. Plastic is also another popular material used to create bongs. Plastic is used to create cheap and affordable bongs for those who can’t afford a glass bong. People usually stay away from plastic bongs because they tend to develop problems with the seals around the stem and bowl. Other popular materials include ceramic, wood and metal. Bongs can be very elegant in both functional and non-functional ways. Functional ways include addition of extra chambers which allows further cooling of the smoke, multiple bowls for longer, bigger hits and multiple mouthpieces so more than one person can smoke at once. The most basic bong has a mouthpiece, chamber, stem and bowl. 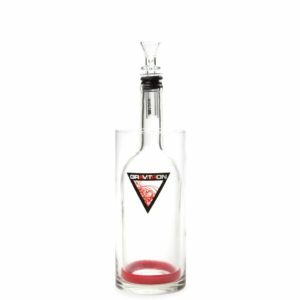 The bong base is usually made of thick material for durability and creates a chamber in which you can fill with water for filtration. Some chambers even include a percolator. A percolator is a filtration system used in bongs to further filter the smoke. Percolators allow for the mixture of oxygen and water with the smoke. This filters the smoke so that you won’t be left with burning lungs after you smoke a bong. The downstem is a tube that sits inside the chamber a few inches below the water. Stems are used to allow for best filtration and allows the bowl to be removed. The bowl sits inside the downstem and its purpose is to hold your substance that will be burned. It is always created from durable material such as heat resistant glass or metal. How much do bongs cost? Simple bongs are usually the most affordable. These bongs are created from material other than glass. This allows for the bong to be mass produced and sold on the market quickly. Simple bongs come with many negative aspects and usually they do not last very long. Glass is usually the preferred material for bongs. Glass bongs will last you a long time because they are more durable than most materials. A glass bong is much easier to clean. 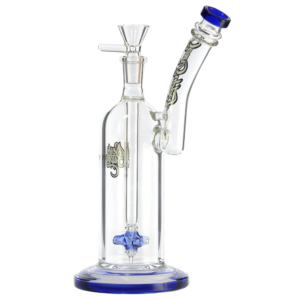 They usually come in beautiful and creative designs that stand out from the typical bongs. All glass bongs are handmade by expert glass blowers so they tend to cost a little more. What are the best bongs? With so many bongs available it can hard to find the best bong. Luckily, we have created this website to help you find the best bong available on the market. We go through rigorous testing which we test the durability, filtration, and design of the bong. 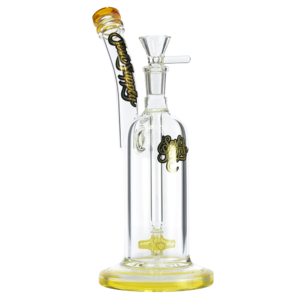 All of our bongs are recommended for experienced and inexperienced users. If you are looking to purchase your next bong please read our best bongs reviews before making a purchase. If your just starting out, check out the different way people smoke their marijuana in current day and age. What type of bongs are available? The Standard Bong is a simple bong made of a plastic bottle with a piece of rubber garden hose place approximately 1/3 of the way in. In this budget design, the bowl is generally made from a beverage can made into the shape of a cone. The materials can vary, but this is the basis of most bongs in existence. The Gravity Bong has absolutely nothing to do with gravity. 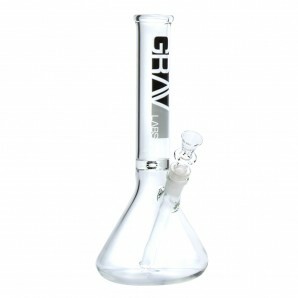 The gravity bong is usually made from a plastic 2-liter bottles and a bucket. Multiple holes are put into the base of the 2-liter bottle. The cap of the 2-liter bottle is fitted with an improvised metal bowl that can hold your substance. A bucket is then filled with water to the top and the 2-liter is placed inside the bucket of water. The cap is then loaded with the substance and the 2-liter is then pulled up out of the water while the substance is being lit. A Hookah Bong is a variation of the standard bong in which the smoke is not inhaled through the bottle’s mouth, but through a plastic tube. This allows the user to layback while smoking and creates a more relaxed smoking environment. Commonly, a hookah will have the stem vertical and the bowl on the top of the chamber. The Double Chamber Bong is another variation of the standard bong in which a second chamber is added for extra cooling and filtration effects. In this bong design, after bubbling through the water initially, the smoke enters a tube leading to a second chamber which causes the smoke to bubble through water a second-time further cooling and filtering. The smoke is then inhaled by the user. Dab rigs are essentially a glass bong with extra percolators and a metal nail piece that is used to vaporize thc concentrate, also known as cannabis oil, wax and BHO extract. There are many available variations of dab rigs available on the market and each have their own unique spin. Dabbing has been ever slowly increasing in demand as new users discover this potent and healthier method for smoking their substances. Many people prefer dabbing because of the simplicity, portability, efficiency, and the intense and powerful euphoria produced when smoked. Dabbing can be vaped discreetly as there is very little smell and taking a dab is usually faster than the other methods of smoking. What are dab rigs made of? Just like bongs, dab rigs can be made from a variety of materials. The most popular material dab rigs are made from is glass. Because you will need to heat up a metal or glass nail with a butane torch most dab rigs are made out of glass to prevent accidental melting. The glass is durable and is created specially to resist high temperatures to prevent cracking. How does a dab rig work? For a proper dab rig set up you will need a dab rig base, a dome, the glass or metal nail, your best refillable butane torch and a dabber also known as a pick. There are other many options for dab rig set ups such as vaporizers and electric nails, but most people when starting out want the simplest set up. With the basic models, there is a titanium, glass, or ceramic nail that is heated with a butane torch to extreme temperatures until visibly red hot. Then the glass dome is attached firmly on top of the nail to the dab rig. The dabber is then used to dab the substance (usually dabs, cbd oils, other concentrates) as you inhale the vapors like a typical bong. For more information and in-depth details visit our what are dabs page. How much do dab rigs cost? Just like bongs, dab rigs are affordable to most. They come in a large variety of colors and designs that will leave you and your friends impressed. Depending on the dab rig design, number of percolators, type of nail, and the size of the rig they usually cost between $50 to $200. The more features a dab rig has the more it will usually cost. Along with the rig you will have to purchase a butane torch ($10) and a dabber or pick ($5). 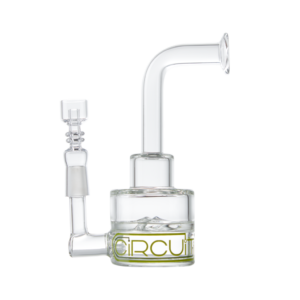 Dab rigs usually cost more than bongs because they are handblown by expert glass blowers and they are made with thicker glass to prevent cracking. You can spend quite a lot of money and end up with a prize possession that will satisfy you for years. All of our dab rigs are recommended for experienced and inexperienced users. If you are looking to purchase your next dab rig please read our best dab rigs reviews before making a purchase. 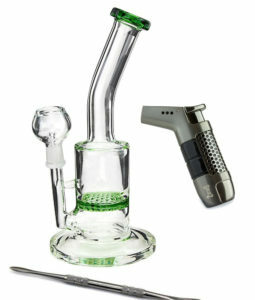 These best dab rig set ups are usually brand models, thicker glass with multiple percolators, larger better built torches, electronic nails or specialty nails, and durable dabbers. What are the best dab rigs? Just like with the bong everyone has their own preferred styles of dab rigs. You may want to try out a few brands before you come to the conclusion of what best fits your desires. You can navigate to our full reviews of recommended dab rig brands here. We have taken the time to write in depth reviews of our top dab rigs and recommend only those that satisfy our need and desires. If you purchase your dab rig from any of the above companies we have coupon codes here to save you some money on your online purchase. What types of dab rigs are available? Small Dab Rigs are usually the most popular dab rigs on the market. They are popular because the small design, unlike bongs, allows of easy portability. Small dab rigs come with one percolator for best filtration. The small size design also protects the bong from accidental tipping. Themed Dab Rigs are dab rigs with creative and beautiful art designs that make them stand out from the regular dab rigs. These themed dab rigs are awesome to look at and will impress all of your friends. Themed dab rigs are usually a little more expensive because they take a lot more work and time to create. Due to the extensive labor, themed dab rigs are usually limited and will never be produced again in the future. Multi Percolator Dab Rigs come stacked with extra percolators or fancy recycler chambers that allow for the smoothest hit possible. 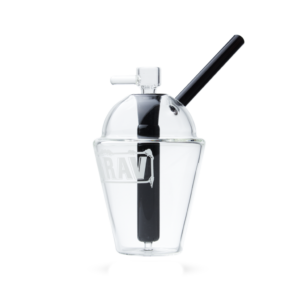 The nail heats up your substance to extreme temperatures and requires well-built percolators to cool down the vapor in order to provide a pleasant experience. 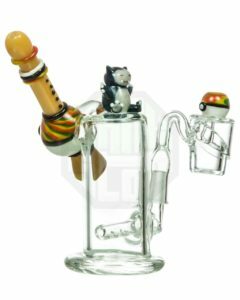 Multi percolator dab rigs are the best dab rigs available and can also come in themed designs creating the ultimate piece. How’s it going? Welcome to our site. We review the best bongs and best dab rigs available on the market. This site was created because we decided to share our experience and findings with dab rigs and bongs to help you figure out which will be best for you. Best Dab Rigs – Latest top 10 best dab rigs reviews for 2018. What are dabs? – What are dabs, also known as cannabis oil, thc extract, concentrated oil, wax. Best Bongs – Latest top 40 best bongs reviews for 2018. Best Dry Herb Vaporizer – Review of our top recommended dry herb vaporizer. Best Online Headshops – Our top most recommended headships for 2018. Online Headshops Coupons – Our latest COUPONS to save you money on your next purchase. Otherwise, we hope our site helps you find what you’re looking for. Leave a comment with helpful feedback, dab rig or bong tips, recommendations of any brands you’d like us to review, a cool quote to add to our daily quote page, or anything you’d like to see us cover on our site, and we will consider it.